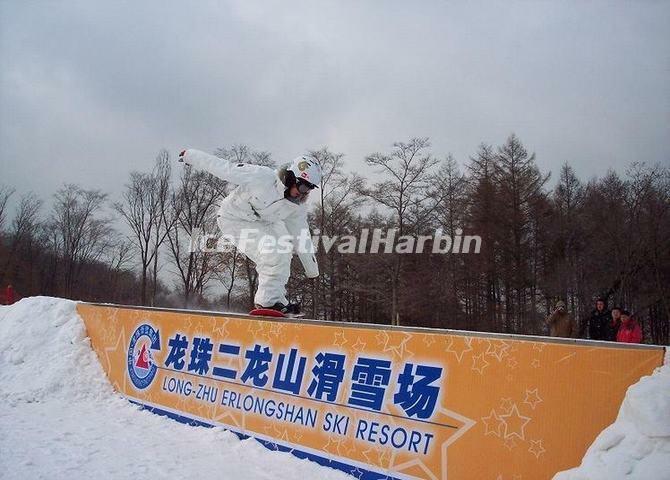 Erlongshan Ski Resort, also known as Longzhu Erlongshan Ski Resort, is located in the nationally certified "AAAA" Erlong Scenic Reserve in Binxian County, 65 kilometers from Harbin City. Erlongshan Ski Resort enjoys it status today as one of China's first-class tourism resorts. Being the country's outdoor extreme sports training base, Erlongshan Ski Resort provides four-season sport and recreational facilities for the adventurous. The high-quality snow pack in winter combined with safe-skiing courses, finesse the facilities' offerings, and moderate admission fees make this paradise accessible to all skiing enthusiasts. Over the years it has accommodated as many as two million domestic and international sports lovers. There are two ski slopes for amateurs, one snow-covered playground for children, 6 pistes for intermediate and advanced skiers, as well as a park for snowboarding. Two rental centers offer 5,000 sets of imported ski equipment. For a change of pace, they also provide a special area for VIPs, a vast skating park, and trails for sleighs and snowmobiles. Trams and chairlifts carry skiers directly from the hotel to their destinations. The Longzhu Erlongshan Ski Resort has solid experience holding large-scale conferences and exhibitions. 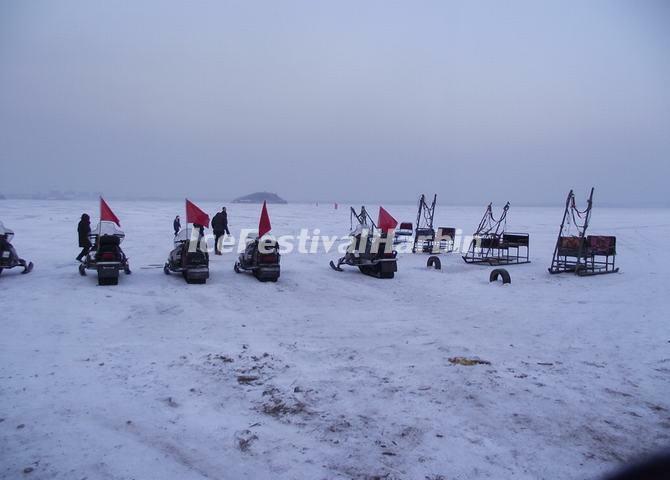 Since it was put into operation in 1999, it has successfully hosted a string of events, including the premiere of the Heilongjiang International Ski Festival for 10 consecutive years, the Golden Autumn Festival, international tourism forums, and conferences for the CPPCC and various NGOs. Sporting events, such as international off-road races and ecological cycling tours, have also been successfully managed. The ski resort covers an area of 1.03 million square meters, in addition to have a full range of ski equipment; it has three hotels, four restaurants, which can accommodate 2,000 people dining, and 1,100 people lodging. There is more than 30 outdoor ski entertainment project, including snowmobiling, snow buggy, ice slides, horse-drawn sleigh, sightseeing ropeway, artificial rock climbing, luxury yachts, luxury boats, tennis courts, nightclub, and bath center. There also are the Northeast's largest pasture and grass skiing yard.